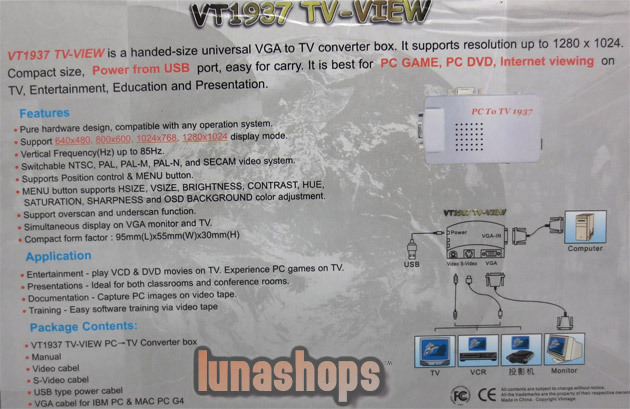 Convert your VGA signal to be viewed on any TV, projector, or any other viewing device that uses standard TV connectors with this simple external device. 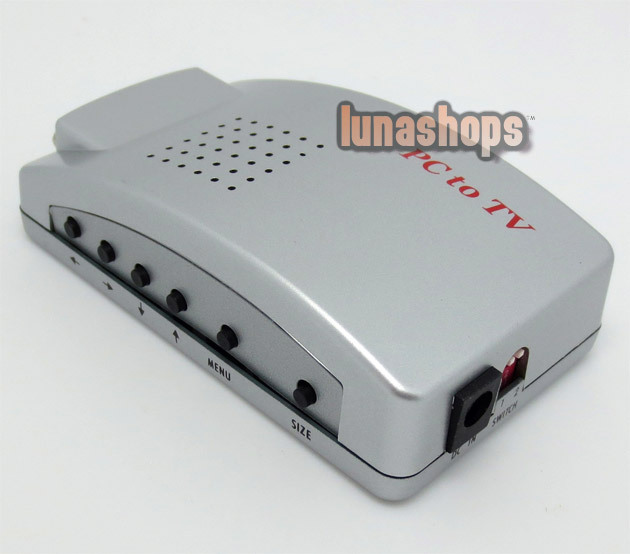 Converts a VGA signal into an S-Video or RCA signal – use your TV as a PC monitor, Great for presentations, web-browsing, PC online games, pictures, and movies. 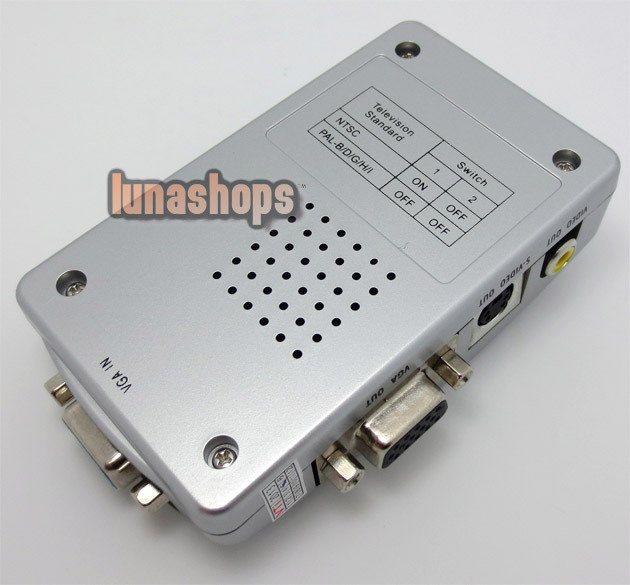 Easy useConnecting this conversion box to your video configuration takes only a couple minutes. 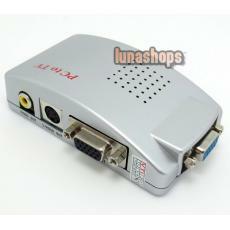 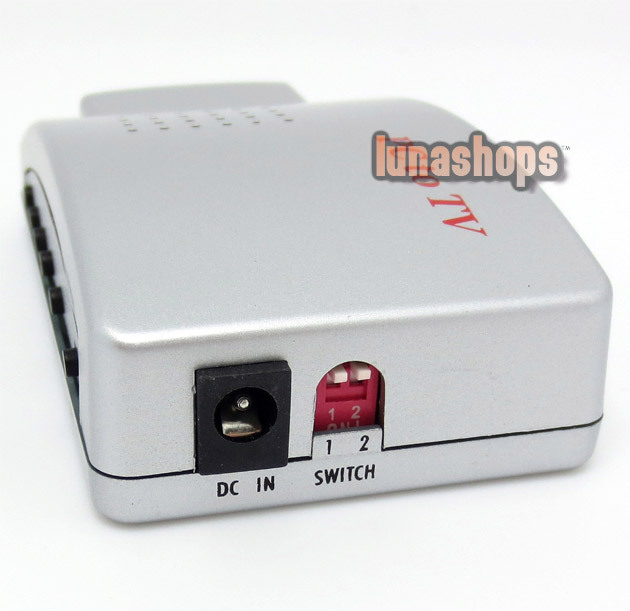 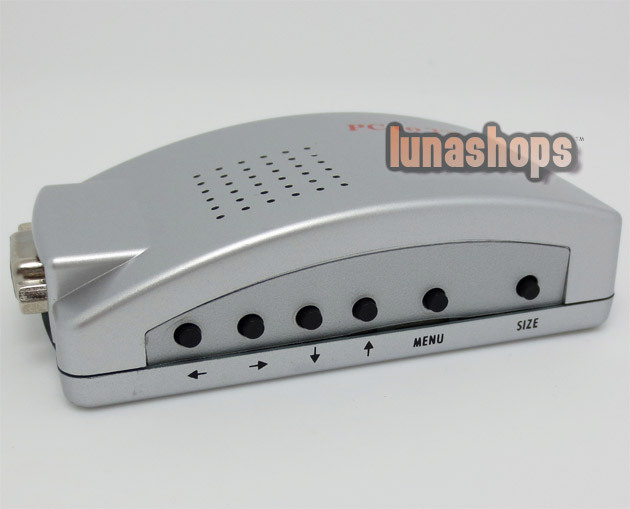 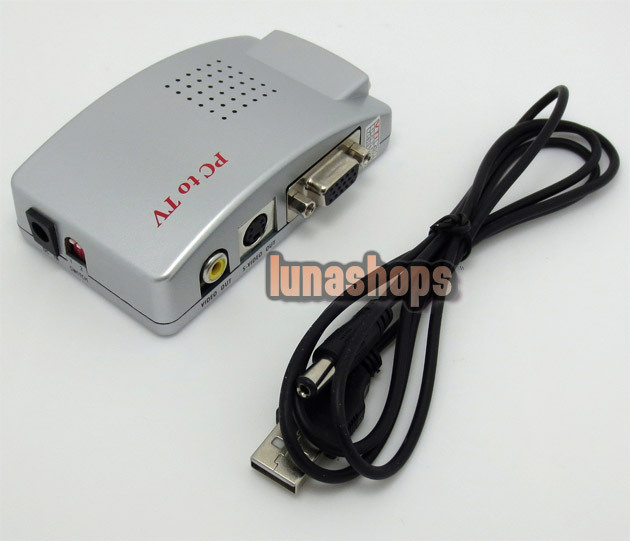 This PC to TV converter also features a VGA output port that allows for VGA Loop-Through. 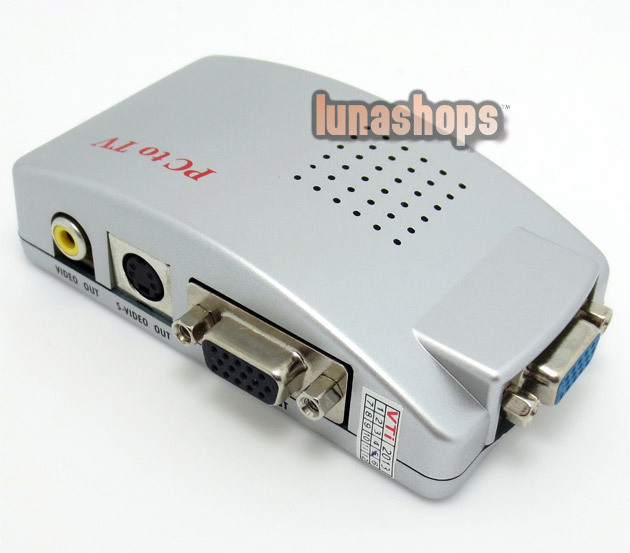 This essentially means that you can simultaneously view video on a VGA monitor while viewing the video on your TV, projector, etc.